VERSTER-ROOS INCORPORATED ATTORNEYS & CONVEYANCERS is ideally situated in Monumentpark, Gauteng right next to the R21 – Highway being a major north-south regional route. It is midway between Pretoria central city, Kempton Park and Johannesburg international airport. Our attorneys regularly make use of the Gautrain connecting us to Sandton city and surrounding areas as well as the South Gauteng High Court, Regional Court, District and Magistrate’s Court of Johannesburg. The firm is furthermore situated within the jurisdiction areas of the High Court of South Africa (Gauteng Division, Pretoria), Regional Court, District and Magistrate’s Court of Pretoria. We are in close proximity of the Master’s Office as well as the Company’s and Deeds Office. VERSTER-ROOS INCORPORATED ATTORNEYS & CONVEYANCERS has through the years established itself as a highly competent litigation firm. 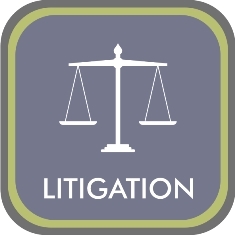 We litigate regularly in different forums and assist our client with a variety of litigious matters. This includes but is not limited to: the drafting and preparation of summonses, pleadings, opposed and unopposed applications as well as ex parte applications; legal research and the drafting of legal opinions; general legal advice.